This was a real picture taken by my wife, Dawn Rader. 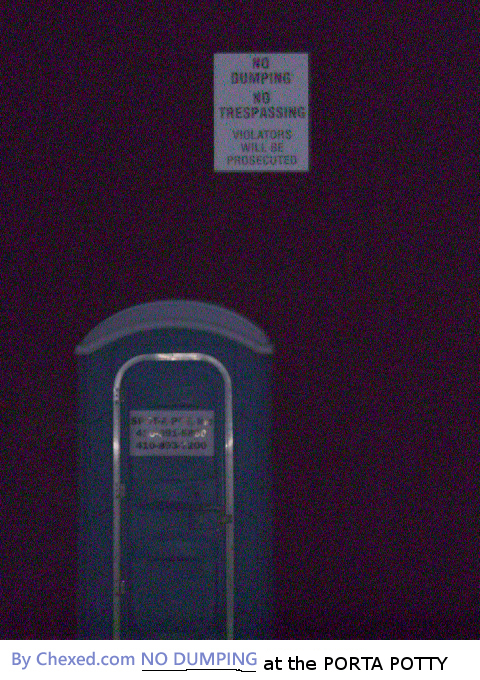 Apparently, someone doesn't want any "dumping" going on with their porta-potty! Share this image with someone! Hosted by HostNine This page was created in 0.0044949054718 seconds.